Brian Poulter is a trial attorney who devotes his practice to representing individuals and their families in matters of personal injury and wrongful death. Since joining Panish Shea & Boyle LLP in 2015, Brian has litigated numerous commercial trucking, auto collision, dangerous condition on public property, security excessive force, and severe pedestrian and bicyclist injury cases. Due to hard work, compassion, and creativity, Brian has obtained favorable results at trial and through settlement, recovering millions of dollars for his deserving clients against negligent individuals, public entities, and corporations. Brian also serves as Panish Shea & Boyle’s handling attorney for the Porter Ranch litigation, which stems from the October 23, 2015 massive gas injection well blowout of well SS-25 in the Aliso Canyon Natural Gas Storage Facility operated by Southern California Gas Company. As a result of the blowout, noxious odors and toxic pollutants displaced the Porter Ranch community and surrounding areas for months. The toxic pollutants caused residents severe nausea, headaches, nosebleeds, brain fog, blackouts, earaches, eye irritation, and severe respiratory problems, as well as post-traumatic stress disorder. Litigation is ongoing to fully and fairly compensate the families of Porter Ranch and surrounding communities for their injuries, pain and suffering, and the loss in the value of their homes as a result of Southern California Gas Company’s negligence. In 2016, Brian assisted attorneys Spencer Lucas and Jake Douglass in the case of Hencz v. EAN Holdings, LLC, et al. in obtaining a confidential, seven-figure settlement for his client who was injured in an auto collision on the Foothill freeway in Upland, California. For years, the defense lied about how the collision occurred and offered pennies on the dollar to settle the case. Believing in their client, Brian and Mr. Lucas prepared the case for trial, which ultimately settled the day before jury selection for the insurance policy limits. In 2016, Brian was asked by Texas-based firm Saucier & Smaistrla, P.C. to associate into the case of Shaw v. Gengle, et al. as lead trial counsel with trial beginning in one month. The case involved a near head-on collision at 30+mph. Prior to Brian’s involvement, the defense offered $12,000 to settle the case at mediation. The case proceeded to trial in August of 2016, and after five days of trial, Brian obtained a $391,000 trial verdict. He then filed a post-trial motion to recover an extra $300,000 in attorney’s fees and costs because the defendant refused to accept responsibility before trial. The court granted Brian’s motion, and the parties reached a confidential global settlement amount, resulting in a net recovery of over $500,000. Brian’s verdict was published in both the Daily Journal and ALM’s Verdict Search. In 2015, Brian obtained a confidential, seven-figure settlement for his client—former two-time Olympic gold medalist, Craig Buck. Craig was an avid cyclist who spent his mornings riding his road bike on Santa Barbara’s back roads. As he descended down a hill, a truck pulled out in front of him, causing life-altering injuries. The police report cited Craig as the sole cause of the collision. Because of this, the driver’s insurance company blamed Craig and refused to compensate him for his injuries. Brian investigated the driver’s background and uncovered a troubling history of violence towards cyclists. Within days of disclosing this information to the carrier, the driver’s insurance company tendered the entire underlying and excess policy limits. 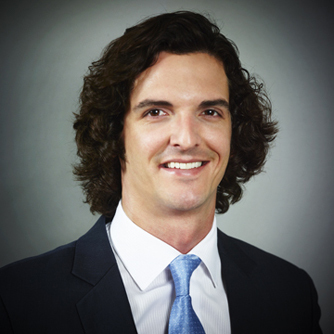 Prior to joining Panish Shea & Boyle, Brian was a trial attorney at two Los Angeles-based firms where he represented plaintiffs in complex civil litigation, including insurance bad faith litigation, consumer class actions, mental health parity class actions, commercial & business litigation, professional negligence, personal injury, and employment litigation. Brian attended Texas State University in San Marcos, Texas where he received his bachelor of business administration degree from the McCoy College of Business in 2007. He then attended Loyola Law School in Los Angeles, California where he was a two-year member and captain of Loyola’s nationally recognized trial advocacy team known as the Byrne Trial Advocacy Team. Brian graduated from Loyola after having tried over 100 mock jury trials. Brian’s achievements while on the Byrne Trial Advocacy Team include: 2012 “Top Gun”—an honor given to the top 16 individual trial advocates in the country; 2012 International Academy of Trial Attorneys Award; 2012 National Trial Competition—Southern California Regional Champion; 2012 National Trial Competition—National Elite 8; and the Byrne Trial Advocacy Scholar—$20,000 scholarship for excellence in the art of trial advocacy. Brian is a member of the State Bar of California and is licensed to practice law in all state and federal district courts in the State of California. He is an active member of the Consumer Attorneys Association of Los Angeles and the Consumer Attorneys of California. When he is not practicing law, Brian spends his time serving his alma mater as an Advisory Board Member & Steering Committee Member for the McCoy College of Business at Texas State University. He also teaches trial advocacy part-time.